CLICK HERE to watch on You Tube. 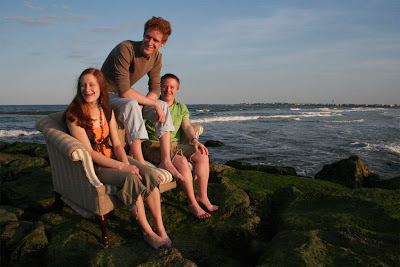 In the summer of 2006 the Drinker family vacationed in Sea Isle City, New Jersey. Nancy, Jim, and Paul Freedman (Dan's grandmother, uncle, and cousin), along with family friends Evan Cuttic, Lisa Lotito, and Susan Fedynak were guests at our rental house down the shore. During the time this footage was shot, Dan met my girlfriend, Susan. Photos by Evan M. Cuttic. Click to enlarge. Check out Dan and Sarah in Philadelphia's new Feel The Love campaign. Sarah's family took she and Dan to participate in a commercial to promote the city of Philadelphia. 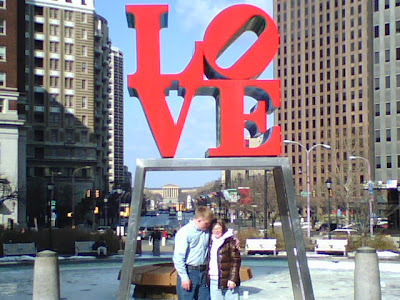 In Love Park, couples were asked to make out to capture the essence of brotherly love. Click here to see a photo gallery from the shoot. Just scroll through and you'll find Dan and Sarah hamming it up on the second photo of the second page. Sarah is a great girlfriend for Dan but he's even more fortunate her family takes such an active and supportive role in their relationship. When Dan started dating Sarah, it was as though Dan's mom started dating Sarah's mom. Making plans, coordinating driving to and from dates, keeping an open line of communication, these responsibilities are naturally not left to Dan and Sarah alone. 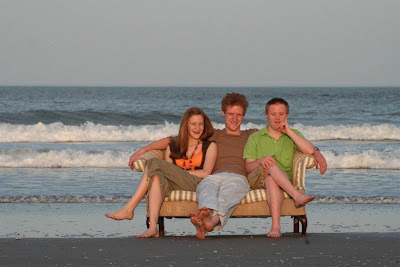 Any and all success for what Dan and Sarah have must be credited to their parents. As a ventriloquist, I've been to shows and conventions where there are other ventriloquists. Sometimes another vent will have his puppet strike up a conversation with mine. Several times I've found myself obliging in a rather awkward back and forth between my puppet and theirs. I'm not trying to imply that Dan and Sarah are puppets but that many strings are pulled by those around them and it can be a delicate dance for both our families to perform. Dan and Sarah usually do the dreaming while Diane and Rita decide whether it jibe's with reality. Just about every day, Dan tells my mom some form of plans he's made with Sarah. He then insists her mother has confirmed said plans, even that she's coming to pick him up. Without fail, my mother calls Sarah's to find she is unaware of any plans. There's also quite a balancing act when it comes to Dan and Sarah's physical intimacy. A number of mothers are appalled that Dan and Sarah make out in some of his scenes. 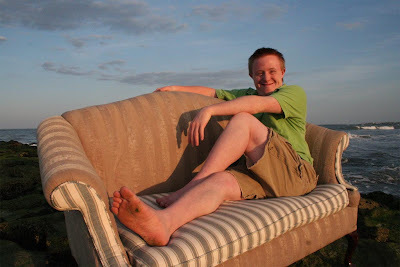 One mother of an adult with Down syndrome told my mom, "My daughter won't be watching THOSE videos. She won't be going near boys of any kind in any such way". She failed to recognize that her daughter is no longer a child. 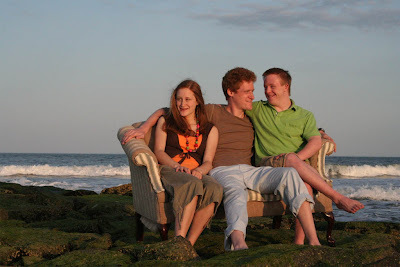 Dan and Sarah's mom understand that these two young adults deserve all the trappings of a normal healthy relationship and strive every day to provide them with just that.